Ms. Beckhold is a board certified physician assistant. She has experience as a provider of services in family medicine and emergency care. 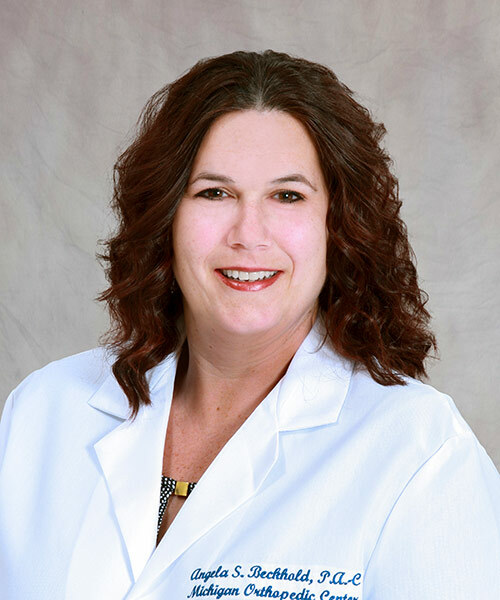 She has over 20 years of healthcare experience having worked as a Certified Surgical Technologist prior to pursuing advanced education and certification as a physician assistant. She assists Dr. Jason Cochran in the treatment of orthopedic conditions, with a focus on osteoarthritis of the hip and knee.